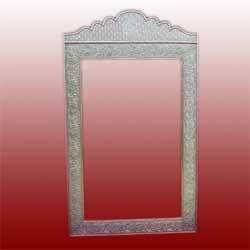 We offer a wide range of Decorative Mirror Frames to our valuable customers. We provide many designs in our decorative wall mirror collection. Our frames are appreciated for their smooth, fine and proper finish that are brought about with thorough and expertise driven polishing. These Mirror Frames are extremely in demand for its wonderful looks. 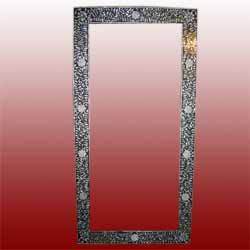 Under precious guidance of our professionals, we are involved in offering a broad spectrum of Decorative Mirror Frames. Offered mirror frames are designed by our team of seasoned designers using high grade raw materials and high-end sculpture tools. Our mirror frames are extensively used for displaying the captured beautiful memory alive forever. Moreover, our valuable customers can avail these mirror frames from us at reasonable prices. Aspired by the contemporary trends of markets, we are engaged in offering a qualitative assortment of Decorative Mirror Frames. Offered product is very beautiful and is highly appreciated among our clients due to their perfect finishing and superior quality. They are designed with intricacy and are available in different shapes of the mirror. Offered mirror frames are provided in best packing & checked before the final dispatch. By keeping track of the latest technological developments, we are offering a superior quality Mirror Frames. Designed using the finest quality raw material, our experts use advanced carving tools in the drawing process to instill an eye-catchy look into it. These mirror frames are available in various colors and designs to cater diverse requirements of our customers. 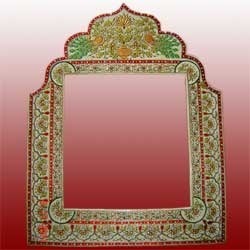 Our prestigious clients can avail these mirror frames from us at affordable price in quality packing. 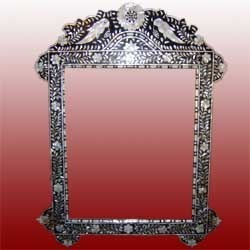 Being a quality oriented organization; we are able to offer Mirror Frames. Our provided mirror frame is crafted from the quality assured raw material and the latest tools in conformity with set market norms. Also, our provided mirror frame is accessible in different designs & sizes to suit various customers’ requirements. Our mirror frame is checked by skilled workforce so as to deliver a defect free range.